Add a new style to your vehicle while protecting your dash from fading. 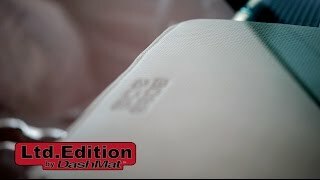 The LTD Edition DashMat is the perfect way to add a modern style that complements technical fabrics in newer vehicles. This dash cover uses a unique warp-knit design that adds a sense of sophistication to your dash. Dash covers are perfect for keeping your dashboard from fading, cracking, or deteriorating. Your windshield is basically a giant magnifying lens and focuses a tremendous amount of UV light and heat onto your dash. The plastic around speakers is usually the first thing to crack and the fading happens over time. These dashcovers are super easy to install, are custom-made for a perfect fit, will add style, and maintain the value of your vehicle.